Welcome Bloggers! Now write a blog post on your own blog and you can win Samsung Galaxy Smartphone and Gift Vouchers worth Rs. 5000. 3. Link back to https://www.beautyglimpse.com/ from your post. Deadline Extended due to Popular Demand! I don’t have a blog/website. Can I participate in the Contest? – Unfortunately not. You must publish the article on a blog/site and link back to BeautyGlimpse. Should i send the word doc or pdf file? – No. Please send the URL of the article/blog post to above mentioned email id. # ** First 100 entries are eligible for Flipkart Vouchers. # Calypso Digital Media reserves the right to modify the contest at any time without notice. Our decision regarding the same shall be final and binding. 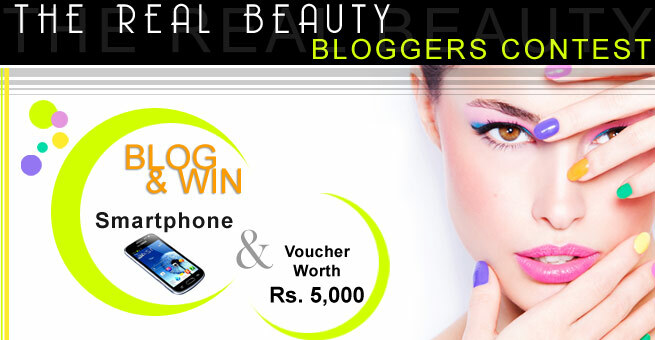 Finally the wait is over and we are declaring the winners of the Real Beauty Bloggers Contest. We would like to thank all the participants for making it a big success. For early bird prize winners (Rs.250), we shall be contacting winners in next 24-48 hrs.